Remove the challenge of ensuring your customers feel valued and acknowledged by giving them an option to connect and interact directly with a member of your team. Or simply create a support room adding additional ways for your customers to resolve any issues they may face. 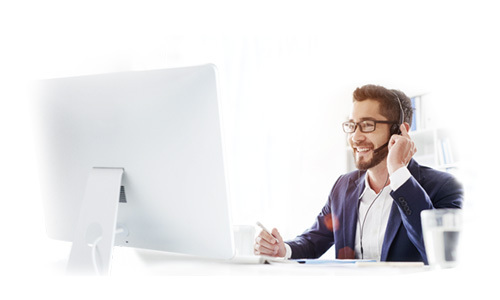 Live Assistance - If email and screenshots are simply not resolving the issue you are able to connect immediately with a customer to resolve the problem. Take advantage of screen sharing and a host of other tools to help your team resolve problems as quickly as possible. Live Demo - By having the power to see and hear your customers you can increase the likelihood of identifying a solution to a complex issue. Support Room - Create a place where customers can connect with each other and your team to quickly find answers and information. Team Collaboration - Ensure your support team members, either local or remote, stay up to speed on best practices by allowing them to meet at any time. Discussion Webinars - Address a number of common issues with a large group by creating a support webinar- this allows you to present the information I real time whilst addressing questions.